Hi, I am Janet Groom! I remember my first reading book at school and I was enthralled to see my name in the book. There, in big bold print was my name, JANET. That was it; I was hooked on books. I was an avid reader through school, and most of my free time was either spent sitting up a tree imagining stories of magical places and incredible adventures with me as the heroine, or sitting on the window sill of the bedroom I shared with my sister, head bent over a book. They whisked me away from the real world and transported me to sandy beaches, to snow-capped mountains, to dense jungle and lots more weird and wonderful places besides. Some books shared mind-blowing facts with me; some inspired me; some made me cry, while others made me laugh. I adored solving a mystery with Miss Marple and the next week laughing with tears trickling down my face at the exploits of James Herriott. Books were my constant company and a total joy to me – and still, are. I enjoyed writing stories at school, and when I start to travel the world, I would love to write letters to my family and loved ones back at home. Of course, this was the era before Skype, Email and FaceTime. Back in the day, overseas letters were written on special lightweight blue-coloured airmail envelopes (gosh, am I showing my age!). Even when I started working as a secretary typing words were important to convey information, and, yes, I started on a manual typewriter (which I loated with vengeance!) Over the years, in different job roles, I have written economic reports, news articles and many “how to” guides and handbooks. Now is my time to bring all my amazing exploits, learnings and joie de vivre together. Of course, add in a good dose of my slightly quirky humour, and I am ready to share with you my thoughts, experiences and ideas on life in general in the written form. MY WORDS HAVE MAGIC – THEY HAVE THE POWER TO TAKE YOU, MY ESTEEMED READER ON A JOURNEY. BUCKLE UP – WE ARE READY TO BEGIN. I am here to support you take your idea, both fiction and non-fiction, and make your dream of a real book a reality. 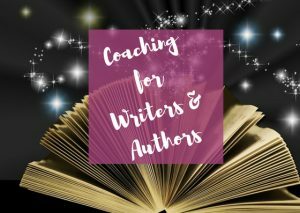 Together we will create your book and ensure your inspirational story, important insights, or words of wisdom are shared with the world.